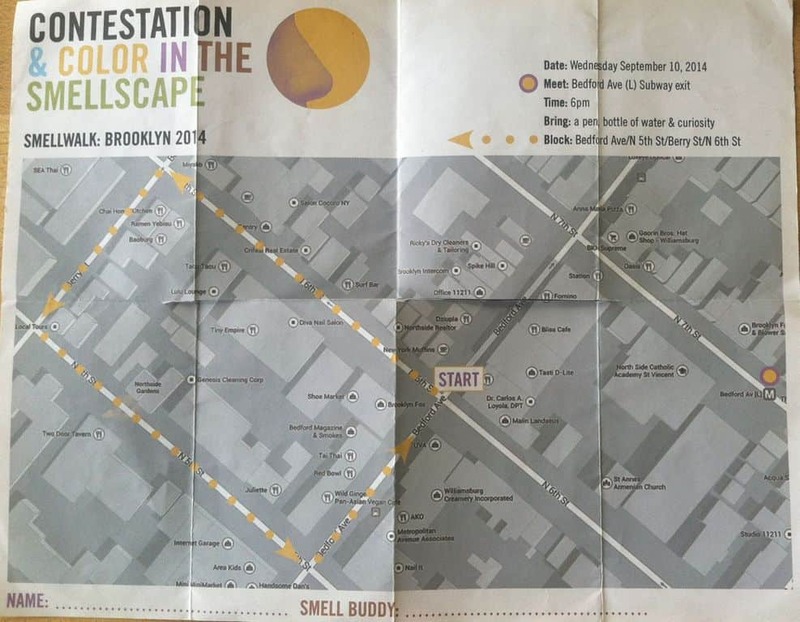 On a warm evening in early September, UK-based artist and designer Kate McLean led a group on her second NYC SmellWalk. 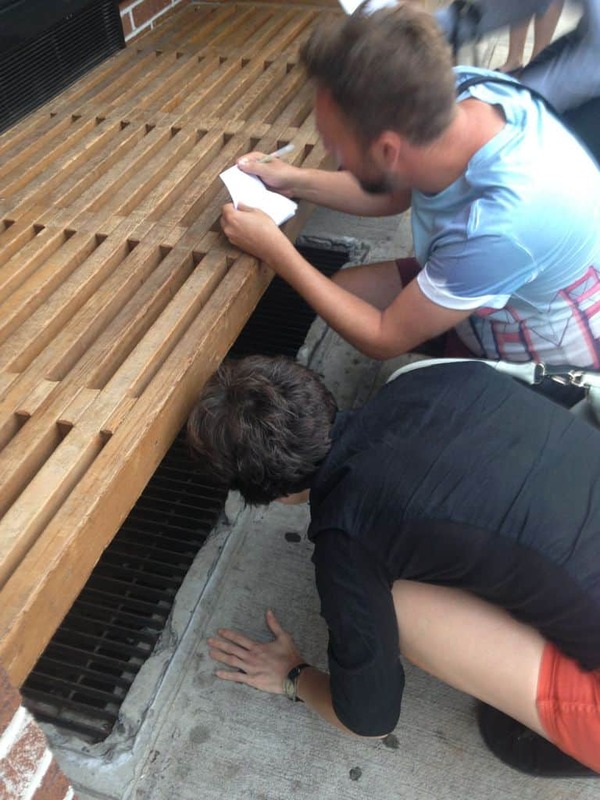 About 15 of us met near the Bedford Ave L train in Williamsburg and Kate explained our task. We would stop near each of the 8 “nose” posters that she had placed in key locations around the block and we would sniff. After doing our own exploratory smelling and writing down what we smelled, we would share our observations with our SmellWalk partner and look for overlap. Then the group would move to the next marked spot. Kate was considerate in offering us dog masks in case we felt the need to conduct our public smelling in the guise of our more olfactorily advanced friends. However, we all forged ahead undisguised. Here’s a sample from the corner of Bedford Avenue and North 6th…. The SmellWalk was really fun and a great way to bond with a group of people interested in scent, with an equal measure of sniffing and talking throughout the event. There were many instances of the larger group all noticing a single smell (garlic anyone?) and other more idiosyncratic experiences: someone identified Acqua di Gio cologne wafting by, while another unearthed horseradish in a juice bar. Keep an eye out for Kate’s next SmellWalk! Miriam Songster is an artist who explores how we are influenced by what we smell.